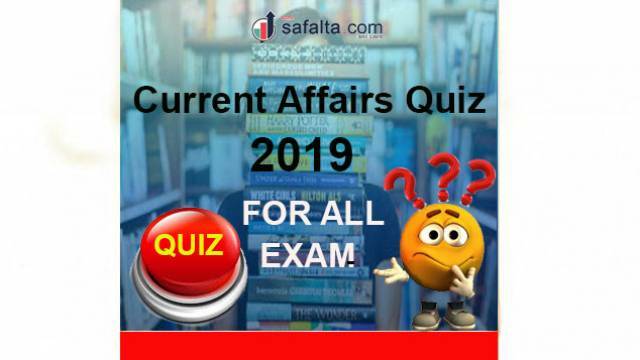 Take this daily Current Affairs Quiz on Feb 04, 2019, based on the recent incident and are important for the preparation of all competitive level exams. In every exam, General awareness section is included in which 40 to 45% questions are from Current Affairs. We have initiated to come up with latest Current Affairs Quiz for the aspirants to be in the regular practice of current affairs for competitive exams like Bank Exams, SSC Exams, UPSC Exams, State PSC Exams etc.